"Vikings: Beyond the Legend" is an interactive exhibition that explores the people, traditions, and influence of the legendary Viking Age. This fall, "Vikings: Beyond the Legend" will open at the Franklin Institute. The interactive exhibit will include 600 artifacts never before displayed in North America and two reconstructed ships, as well as augmented reality experiences. Visitors will learn how the people, traditions and influence of the legendary Viking Age made a significant impact on the modern world. 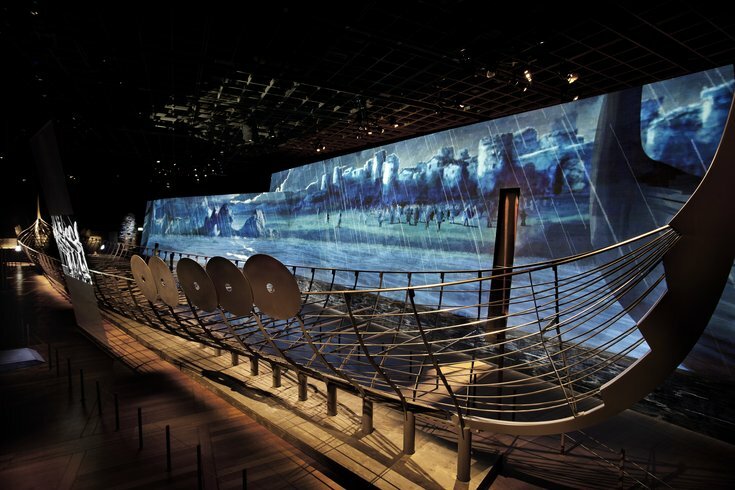 The exhibit is designed to go beyond legends to convey the true story of the voyagers who set sail from Scandinavia centuries ago. Below are some of the most exciting elements in "Vikings." "The Vikings have captivated imaginations all across the world and conquered popular culture. Their impact on transportation, navigation, politics, warfare, language and the map over the course of history was enormous," said Larry Dubinski, President and CEO of the Franklin Institute. The exhibit will debut Saturday, Oct. 13, and will be open through early March 2019. Tickets will go on sale Tuesday, July 31.